[ENGLISH] "Portraits of Golden, BC" is a bilingual (English / French) photography project created by blogger and travel writer Carrie, from carriespeaking.com. Originally a Tumblr microblog, it is now a free ebook. Inspired by Brandon Stanton’s “Humans of New York” and all its spin-offs, "Portraits of Golden, BC" will tell you the tales of the people living in or just passing through Golden. Blogger Carrie from carriespeaking.com was herself living in and passing through Golden; both at the same time. Golden is a crossing. It is intimately connected to the history of a railway company, it is located at the confluence of two rivers, it is settled at the border between two provinces. It vibrates. Here, all sorts of people live, work or just transit. Come, and meet them. [FRANCAIS] "Portraits of Golden, BC" est un projet photo bilingue (Anglais / Français) créé par l'auteure de voyage et blogueuse Carrie, de carriespeaking.com. A l'origine un micro-blog sur Tumblr, c'est à présent un ebook gratuit. Inspiré par le “Humans of New York” de Brandon Stanton et tous ses spin-offs, il vous racontera les histoires des gens qui vivent à ou ne font que passer par Golden. Carrie vivait à et ne faisait que passer par Golden. Les deux à la fois. Golden est une croisée des chemins. Elle est intimement liée à l'histoire d'une compagnie ferroviaire, elle est située à la confluence de deux rivières, elle est nichée à la frontière entre deux provinces. Elle vibre. Ici, toutes sortes de gens vivent, travaillent ou ne font que passer. Venez, et rencontrez-les. Carrie is a two-languaged, freelance travel writer and photographer. Known under her nickname "Carrie speaking" or under her initials C.I.D in the blogging community, she writes about travel, feminism, photography and equal rights. She is a travel writer for Matador Network and a Medium contributor. ​A passionate hiker, she now and then hits the road for weeks or months in a row. There, she gets her inspiration for her writing and shoots landscapes and portraits of strangers. 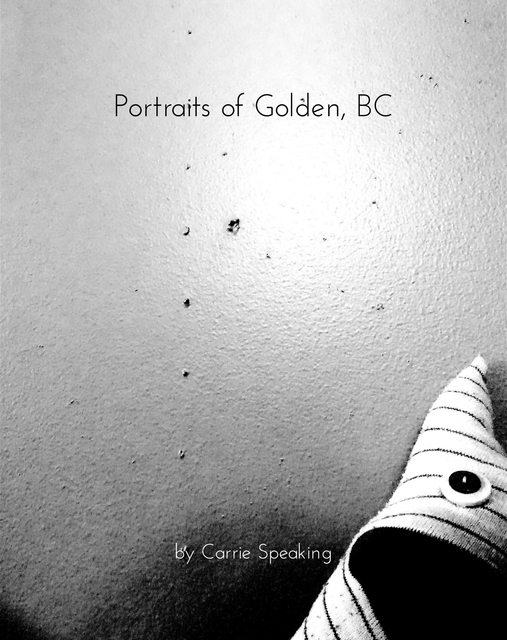 Her latest photography project "Portraits of Golden, BC" is now a free ebook on Blurb.